Holocaust Remembrance Day: More Relevant than Ever! 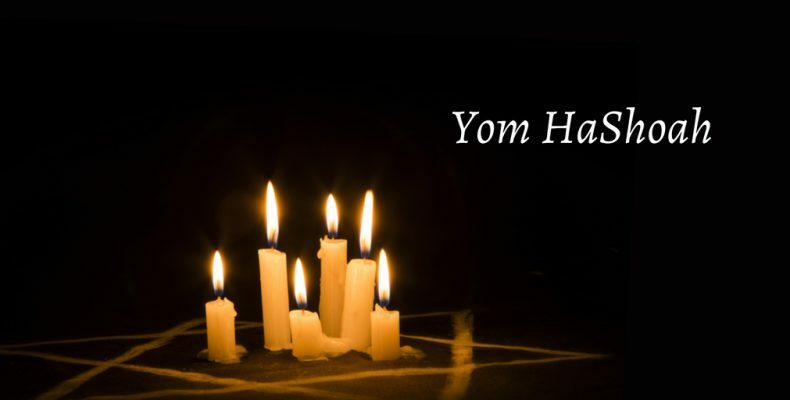 Yom HaShoah was voted by the Israeli Knesset as an official national memorial day in Israel in 1953. Prime Minister David Ben-Gurion established that day as a yearly memorial for the six million Jewish victims of the Holocaust. Every year since that day, Jewish people remember the Shoah or “Catastrophe” as they perpetuate the memory of the loved ones they lost in the Holocaust. In Israel, on that day, two minutes of silent reflection is observed at 10:00 AM as a siren is heard all over the country. It isn’t unusual to even see motorists stop in the middle of the road and get out of their cars to observe that solemn moment. This year, it takes place on the 27th of Nisan which happens to start at sundown on April 11. The importance of perpetuating the memory of the Holocaust cannot be underestimated. It is not about dwelling on the past for the sake of dwelling on the darkest days of Jewish history, but rather for the sake of never allowing future generations to forget these events and possibly preventing another “Catastrophe” in the future. How could we possibly go from NEVER AGAIN to NEVER HAPPENED in 75 years? Holocaust denial is gaining a lot of momentum globally. Holocaust denial officially got organized by Willis Carto (Liberty Lobby) in 1978 with the founding of the Institute for Historical Review (IHR). Even Palestinian Authority leader Mahmoud Abbas wrote his dissertation in which he doubted the existence of the gas chambers and the high number of Jewish victims. Even though in 2014, he backpedaled to admit that the Holocaust was a heinous crime, his statements made in English and Arabic vary greatly. Some claim that the Holocaust never happened, some claim that it was greatly exaggerated, some claim that it was used as Jewish propaganda and some think that we talk too much about it. The frightening truth is that according to a recent survey by the ADL, 1/3 of the world population believes that the Holocaust was a myth... One third! As the years go by, Holocaust survivors are getting older and many of them are rapidly passing away. If a baby was born in the camps in 1945 and survived the horrors of the Holocaust, they would be 73 years old today. In reality, the vast majority of Holocaust survivors are in their mid-eighties at best, and even older. Within the next 20 years, the surviving witnesses of the Holocaust will have ALL DISAPPEARED, facilitating the propagating of lies by historical revisionists. Thanks to Yad Vashem in Jerusalem and the Spielberg Shoah Foundation, names, stories, artifacts and testimonies are added every day. It was about 18 years ago when a team of their researchers started to gather data from about 400 different sources about the Holocaust, Camps and Ghettos of the 30s and 40s. Based on their preliminary studies and available records, they had estimated the number of ghettos, labor camps, concentration camps and extermination camps at about 7,000. In 2013, They published their findings and realized that the numbers were not 7,000 but over 42,500. It is hard to fathom that the horrors of the Holocaust could have been a lot worse if not in intensity, most definitely in numbers. This renders the excuse of those who claimed that “they didn’t know it was happening”, completely unrealistic. Considering these findings about the 42,500 camps and ghettos, not only more people had to be well aware of the events but possibly more bystanders might have been more than just watching. A bystander who does nothing only facilitate the work of a perpetrator. Bystanders became co-perpetrators by default! By downplaying the Holocaust, we run the risk of minimizing recent acts of antisemitism. The last decade has seen an exponential increase in acts of antisemitism all over the world. These acts are getting more frequent, more spread out and much more violent…to the point of death. Until recently, antisemitism–as evil as it is– seldom claimed the lives of Jewish people. Since the Spring of 2012 and the “Toulouse Massacres”, Jews are now fearing for their lives and for good reasons, they are leaving Europe. The recent death of French Holocaust survivor Mireille Knoll is a tragic example of the growth of End-Times antisemitism. She was an 85-year old Holocaust survivor who lived alone in her Paris apartment. She was stabbed 11 times and then burned inside her home. The poor woman who barely survived the flames of the Auschwitz factory of death, ended-up losing her life in flames, as if in a personal Holocaust. As we remember the victims, the survivors and their families, I would like to encourage you to visit the site Shadows of Shoah that presents the truth about the Holocaust. It is neither dramatized nor romanticized. The stories come from first-person interviews with survivors of the Shoah across the world. Considering the fact that fewer and fewer survivors are still alive today, there is a sense of urgency in this kind of work. As first-hand witnesses continue to disappear, the “Catastrophe” runs a greater risk of falling into oblivion.The simplicity of the presentation brings out the profound reality of the Shoah. Each survivor has his/her own ordeal to recall and relive in front of the camera and they do it with difficulty but with dignity. It gives the audience a sense of hope based on mankind’s resilience. Some of these people who came out of the Shoah as survivors are still with us, telling their story and letting us know that after they survived the horrors of the camps, they chose to live and to share. Shadows of Shoah brings truth, light and hope into a world that too often lacks all three.